The first commercial crop of an Australian durum wheat variety that was unsuccessful in its home country will be harvested in Chile in February. The licensing of the Yawa variety was finalised in a deal between the University of Adelaide and Chilean seed company Isopro late last year. 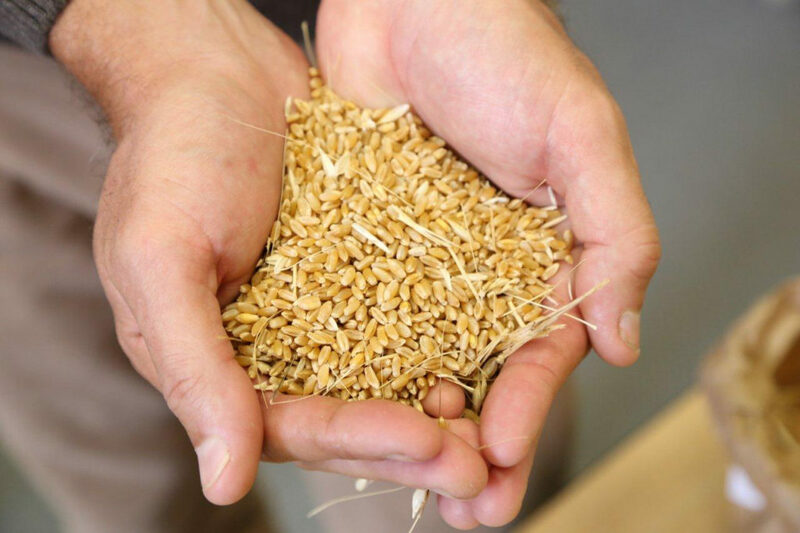 The Yawa variety of durum wheat, which is mainly used to make pasta, was first bred by the late Professor Tony Rathjen and Dr David Cooper at the University of Adelaide’s Waite Campus. They worked in conjunction with co-investment partners Grains Research and Development Corporation and the NSW Department of Primary Industries. Yawa was released in Australia on September 4, 2012. However, its small grain size in dry years meant it was not suitable to the often-harsh southern Australian conditions and it has since all but vanished from the market. A 50-gram sample of Yawa seed was sent to Chilean researchers at Isopro and the University of Talca under a material transfer agreement in 2012. Plentiful water from the Andes and slightly cooler growing conditions allowed Yawa to thrive under irrigation in Chile, outperforming local varieties by up to 40 per cent in trials. The Chilean trials over four years have achieved yields of up to 11.6 metric tonnes per hectare, 1000 grain weight (TGW) of up to 53, Color b* consistently between 30-32 and protein levels up to 12.2 per cent. Isopro founders Stuart Thomas and Sergio Rojas said Yawa had consistently out-yielded all other varieties in the trials, on some occasions by up to 40 per cent. Thomas said it had also proved far superior to local varieties for black point resistance and in overall quality. Durum wheat breeder Jason Able from the University of Adelaide’s School of Agriculture, Food & Wine has built the relationship with Isopro since 2012. He said conservative business projections showed royalties – paid at the rate of AU$4.50 per metric tonne of grain – could reach $500,000 a year within seven years. The university sent one tonne of pure seed to Isopro in 2016, which produced 32 tonnes of seed in February 2017. That seed was all sold to growers who are expected to harvest about 1200 tonnes in the coming months. “Of this, about 800 tones will be sold to local mills and 400 tonnes kept back for seed with a potential to produce a lot more the following year,” Associate Professor Able said. “Where Isopro want to get to is they want to be able to export into Peru and Colombia because they are big buyers of durum from Canada or Mexico. Those pasta companies there have had discussions with Isopro and are quite excited by what they’ve seen with Yawa,” he said. Associate Professor Able said there were strict rules around the Yawa licence, which meant the durum could only be grown in Chile and the grain or semolina sold in South America. “We didn’t want to see competition against Australian growers in a situation where if it really took off and they wanted to export it to Italy then that would be directly competing with our growers, which is not on,” he said. Chile has only become a self-sufficient durum producer in recent years and reaps about 145,000 tonnes a year. Isopro is hoping the yield and quality benefits will quickly convince existing growers to switch to Yawa and also lure new growers into the industry. Outside of Chile there is very little durum grown in South America with the bulk of pasta made from grain imported from Canada or Mexico. Peru imports about 300,000 tonnes of durum, Colombia 150,000 tonnes and Bolivia and Equador some 50,000 tonnes each year. “There’s this golden opportunity for Isopro to really take a step up and dominate some of the market share if they can get a substantial number of growers to produce enough grain to be milled and distributed around these other South American countries,” Associate Professor Able said. He has visited Chile to conduct an audit of Yawa plantings and speak with growers about farming techniques to maximise protein levels in the durum. Global durum production is typically between 30 and 40 million metric tonnes a year. Australia exports a little over half of the 500,000 – 600,000 tonnes of durum wheat it grows a year. But it is the high quality of the grain, including protein levels consistently greater than 12 per cent that has Australian durum in demand globally. The durum breeding program at the University of Adelaide has ongoing support from many industry stakeholders with major co-investors including the Grains Research and Development Corporation (GRDC), South Australian Grain Industry Trust (SAGIT), pasta company San Remo, Southern Australia Durum Growers Association (SADGA) and the NSW Department of Primary Industries. The university has bred many varieties in recent years including DBA-Aurora in 2014, which has been a step-change variety and one in which has been hailed as a “turning point”, particularly in the southern region of Australia. When compared to older varieties, Aurora has led to significantly increased yield potential in more non-traditional areas, greater resilience to disease and cemented Australia’s durum among the highest quality in the world. This entry was posted in News, School of Agriculture, Food & Wine, Waite Research Institute and tagged breeding, wheat. Bookmark the permalink.